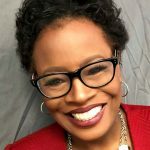 A Special Night of Rickey Smiley for Real kicks off TV One’s holiday season on Tuesday, November 20 at 8 p.m./7C with several back-to-back episodes of the hit series. Viewers are invited to bring their TVs into the kitchen and get a jump on their holiday cooking with Rickey, who will be sharing some good cheer along with his favorite holiday-approved recipes during special on-air interstitials of his hilarious “Cooking with Comedy” digital series. 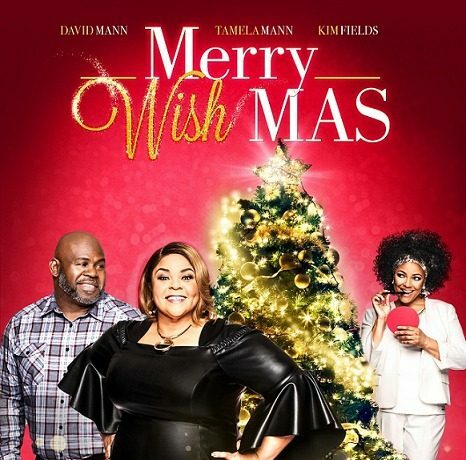 Merry Wishmas, starring Tamela Mann (The Manns), David Mann (The Manns), Kim Fields (Living Single), Towanda Braxton (Braxton Family Values), Chrystale Wilson (The Players Club) and Elizabeth Omilami (Madea’s Family Reunion), revolves around successful businesswoman Kenni (Tamela Mann) who hasn’t returned home to the quaint town of Columbia, South Carolina in years. She’s hoping for a peaceful visit when she finally returns home, but unresolved family issues threaten to make the Christmas holiday not so bright. 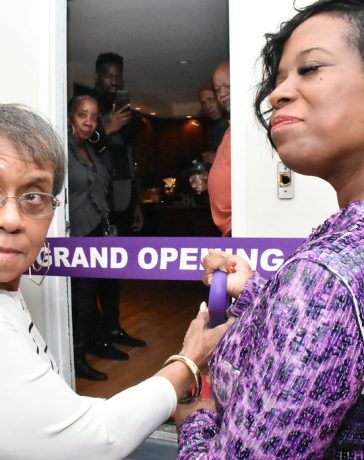 She’s reacquainted with Jessie (David Mann), an old high school friend with a fledgling wellness facility – the Beverly Living Center. She’s instantly thrown into the lives of the center’s residents and meets a host of colorful characters. When Jessie is faced with losing the Beverly Living Center, Kenni steps in to try and help save it. Family conflicts and relationship woes, however, threaten Kenni’s efforts. 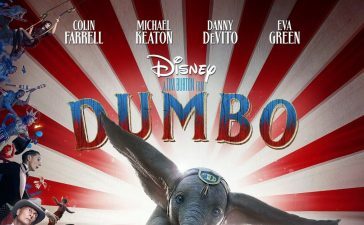 It looks like only a miracle can save the center and mend broken relationships in time for Christmas. It debuts Sunday, December 2 at 7 p.m./6C. For the first time ever, brother/sister duo Jake and Jazz Smollett are inviting cameras to follow them for their Living By Design Holiday Special airing Sunday, December 9 at 7p.m./6C. 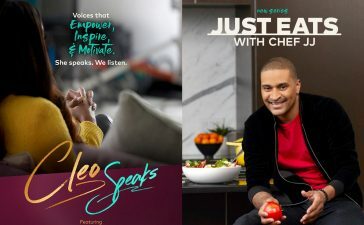 For this exclusive they’re recreating down home recipes and making kicked up cocktails with special celebrity guest, Grammy-nominated singer Ledisi. To really top things off, Jazz will share amazing concepts for setting a table, as well as creating DIY serving trays and other entertaining ideas from scratch. Whether you’re looking for new dishes, or suggestions for adding some pop to your holiday party, Jake and Jazz have you covered! 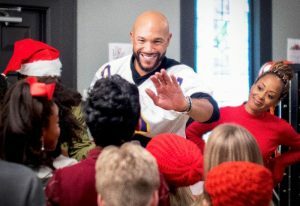 Coins for Christmas premiers Sunday, December 16 at 7 p.m./6C and stars Stephen Bishop (Being Mary Jane), Essence Atkins (Marlon), TC Carson (Living Single), Kelly Price (Saints and Sinners) and Karlie Redd (Love & Hip Hop: Atlanta). 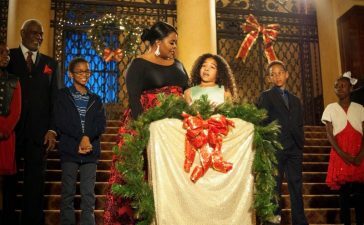 The film chronicles single mom Madison (Atkins) who’s saved all year to make sure her teenage kids have the best Christmas ever. That is until she gets fired from the bookstore she manages and comes home to find that the IRS has frozen her bank account due to delinquent taxes her ex-husband failed to pay. Desperate to pay bills and buy gifts for her children, Madison jumps into the ever-popular “gig economy.” That’s when she meets and eventually gets hired by arrogant, sidelined former professional football player Alec Darby (Bishop), who is also secretly on the verge of going broke. This odd couple butts heads time and time again but can the Christmas spirit help these two get past their bickering, learn from each and ultimately forge a lasting friendship? 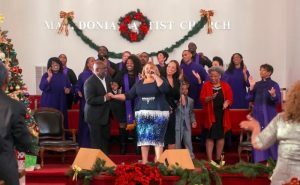 TV One will also air Christmas movies every Sunday until December 23.